Home » All food » Quinoa: Impressive! When I first heard of Quinoa, I read of it actually, I wasn’t impressed. I also hadn’t a clue how to pronounce it either. I’m sorry to say that when I went into the local store to inquire, the sales persons I encountered didn’t know what it was – whether I spelled it, tried to pronounce it or described it. If I hadn’t read about it while surfing the internet, I would have thought myself to have gone doolally and made it up. Eventually, I got around to doing some research on the topic of this phenomenal food. What was it and why are so many people doing handsprings over it? It didn’t impress me that it is the new super food. When I read that it is a complete protein, that got my attention. I can imagine that vegetarians, vegans and other health conscious individuals are quite pleased to add this to the common dishes they usually prepare. Before I venture further into discussing its being a complete protein, I want to discuss a confusing characteristic of this healthy staple. “A seed is defined as an embryonic plant covered in a seed coat, often containing some food … A grain is a small edible fruit, usually hard on the outside, harvested from grassy crops. Grains basically grow in a cluster on atop the mature plant … .” [Difference Between]. 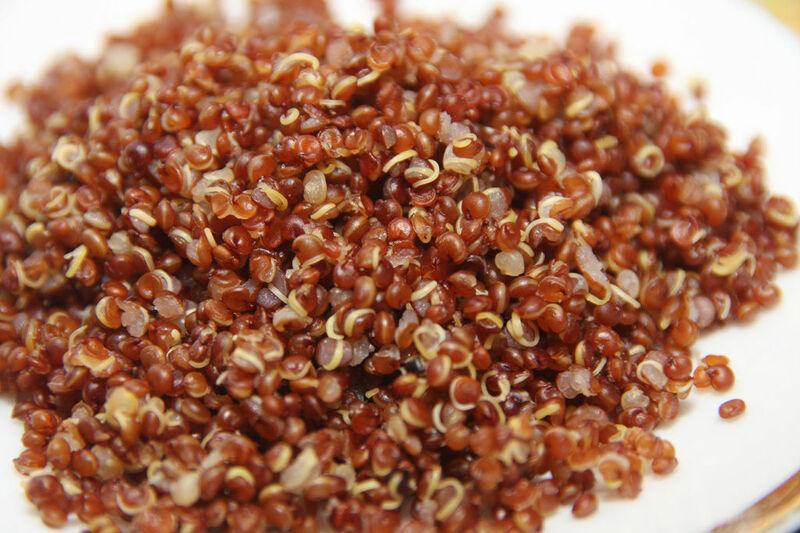 Quinoa is the seed of a plant grown as a grain crop. The plant itself is related to spinach, beets and chard [Huffington Post]. 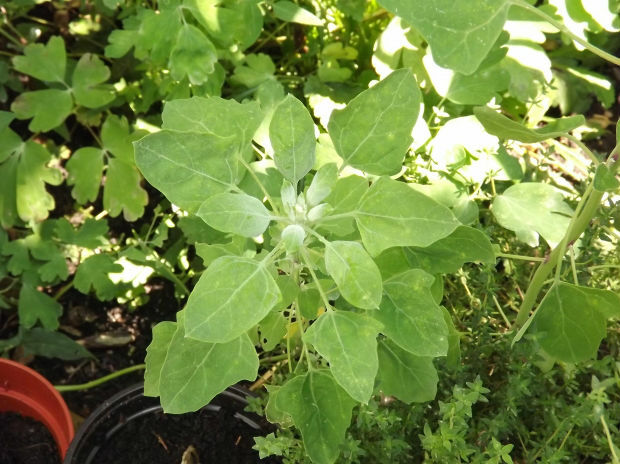 Two other relatives are goosefoot and tumbleweeds. It is not a grain but a seed. The way to cook it is not unlike the way rice, oats or wheat are cooked. The best way to categorize it is under the pseudocereal label. It’s also available in a variety of colors to include red, black and white as well as a few others. Many people who avoid gluten in their food preparation will be relieved to know that quinoa is gluten free. As for the Paleo diet, it’s not a safe assumption that it is in line with accepted foods just because it’s a seed. Diabetics will also want to check further into its suitability with regard to the glycemic index. The strongest selling point for quinoa is that it’s a complete protein. What makes it a complete protein is that it includes nine of the essential amino acids. This is important in the case of individuals who choose to exclude animal protein partially or entirely from their eating preferences. Now that I can pronounce it correctly and can provide an adequate description of it, I have found success in locating it at the grocery store. It may interest you to know the reason the spelling looks so weird in contrast with its pronunciation is that the name is derived from the original quechua name, kenwa, but spelled in Spanish as quinoa. This impressive little seed now does time on my table and is warmly welcomed. I’ve included links below to some of the resources I used. 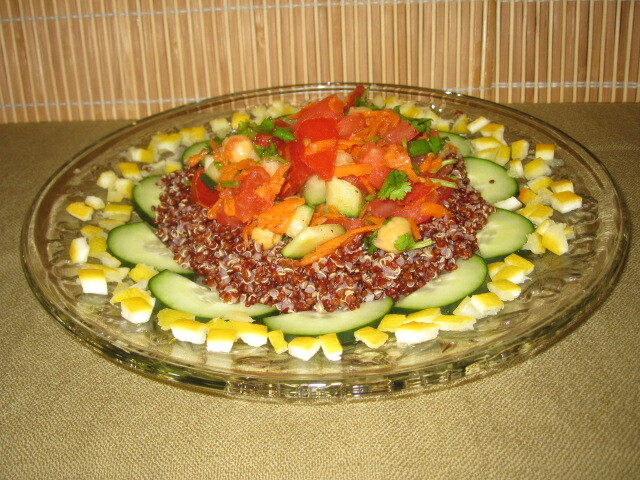 You can find an assortment of quinoa recipes at Ancient Grains. Tanya is a displaced Californian, living in Texas. She has a day job and she dabbles with writing. Not a stranger to getting muddy, Tanya can be found seated while throwing clay onto a spinning disk for lack of anything else to do. Along with other Squids, she migrated to HubPages and continues to post articles there under the pseudonym, Arachnea. Tanya’s virtual life is more exciting than day-to-day-life. There are a few bright spots, however. The local symphony and arts community are two such bright spots and the occasional meet-up with friends makes for a third. Originally from California, she takes life as it comes in her temporary sojourn. Why Is My Table Salt Pink?